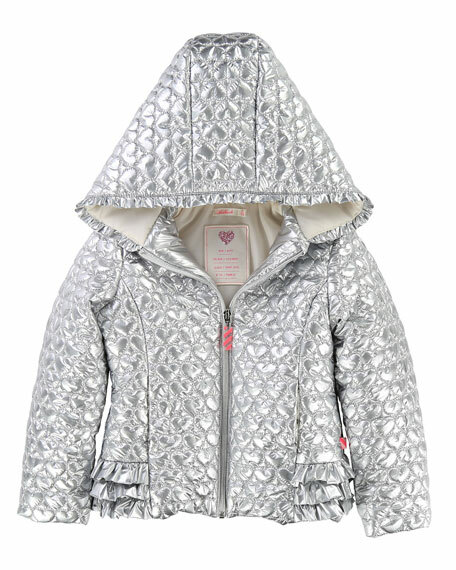 Billieblush metallic heart-quilted puffer jacket. Ruffle trim at hood and hem. Body, trim, lining, and padding: polyester. For in-store inquiries, use sku #2711238.